Personalized Sublimated & Engraved Key Chain! Wedding gifts, Business & More! 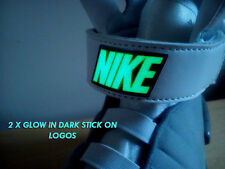 You are buying 2 x Custom GLOW IN THE DARK ADHESIVE BACKED STICK ON AIR MAG LOGOS ONLY. and enjoy! You are purchasing 1 Set of stickers (2 stickers). and any other Replica Air Mags. They are a Greeny Cyan Type Colour much like the actual Air Mags! IF UNSURE JUST ASK, WE CAN POINT YOU IN THE RIGHT DIRECTION. The Light ON Colour is an Aqua Type Colour. (See pictures). Easy to install. COLLEZIONE DV . Marchio: dv®. DV COLLECTION . Weight:90 g. General structure:4 credit card pockets. Portachiavi LANCIA DELTA in CARBONIO. Il suo spessore rende il portachiavi robusto e resistente agli urti, flessioni e torsioni. Larghezza: 72 mm. Altezza: 22 mm. Spessore: 3 mm. 3 - Altro. (contattateci). Never lose your keys again with the KeySmart Pro with built in Tile technology. And if you happen to misplace your phone, you can make that ring too with a double press of the Tile button on the KeySmart. One Keychain with LED Lights- Black for Jeep. 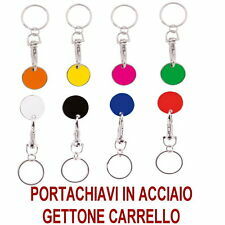 You will get one key chain per order. Our goal is to provide top quality parts and accessories at rock bottom prices. 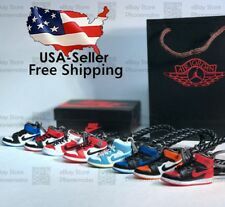 Orders are typically processed within 24 hours. CALVIN KLEIN. Portachiavi CALVIN KLEIN. colore 999 NERO - BLACK. NON CI RITERREMO RESPONSABILI. 48018 Faenza, RA. Via Cavour, 11. Siamo Noi s.n.c. novità e qualità. PRODOTTO ITALIANO - 100% Made in Italy. Marchio: Nuvola Pelle®. Composizione generale: 1 tasca esterna con lampo e 2 anelli porta chiavi. General structure: 1 external pocket with zip and 2 key rings. How to send your text. This design is available in the following sizes and formats. Personalisation Information. Stainless Steel Chain thickness - 9 mm. Looks to be in good used shape. CROOKS & CASTLES LOT “RARE” Vintage Accessories SOCKS/HAT/BELT ETC..
CROOKS & CASTLES LOT “RARE” Vintage Accessories SOCKS/HAT/NECKLACE ETC..
STUSSY “RARE” Vintage Accessories LOT CARDS/KEYCHAIN/BUTTON ETC. THE HUNDREDS “RARE” Vintage Accessories ASH TRAY W/DEFECT CERAMIC ETC. STUSSY “RARE” Vintage Accessories BELT BUCKLE/SWEAT BANDS/COIN POUCH ETC. RRL Ralph Lauren Double RL key chain 2008 Collection Sold Out Everywhere. Shipped with USPS Priority Mail Flat Rate Envelope.